Hurricane Harvey and Hurricane Irma created huge demand for huge vehicles. Here's why buyers are going green. Used cars are selling quickly, but for an unfortunate reason. Hurricane Harvey in Texas and Hurricane Irma in Florida trashed countless vehicles and left their owners seeking replacements quickly. According to Cox Automotive estimates, used car sales improved by 8% year-over-year in September, with vehicles selling at a seasonally adjusted rate of 40.4 million. That's up from from August's 38.1 million units and was particularly robust among vehicles less than four years old, which have seen sales grow 5% in 2017. September also saw used vehicle prices grow 2.77%, ahe Manheim Used Vehicle Value Index - a measure of wholesale prices adjusted for mix, mileage and season - hit a record high for the fifth consecutive month and jumped 6.3% from the same time in 2016. "While growing retail demand is strong, most of the pricing strength can be directly attributed to the recovery following Hurricanes Harvey and Irma," says Jonathan Smoke, chief economist for Cox Automotive, parent company of Manheim. "Both the replacement demand and reduction in available supply is causing widespread wholesale inventories to tighten, and we expect this to result in wholesale price gains for at least another month or two." With demand came increased prices across the board. Compact car prices were up 4.4%, sedan costs increased 2.3%, pickups and vans saw a 9.1% price spike and SUVs and crossovers saw prices jump 6%. Even luxury cars got a 6.4% price boost. "Hurricanes Harvey and Irma are also impacting the overall economy by disrupting the growing momentum leading into the third quarter," says Smoke. "While the economy remains strong with the final reading on GDP growth in the second quarter of 3.1% - the strongest quarter in more than two years - economic data will be harder to judge any sustained change in trend for the next several months." That said, some vehicles are selling far faster than others. According to vehicle pricing and analysis site iSeeCars.com, the fastest-selling used vehicles have spent less than a month on the lot and have an interesting common thread: six of the top ten are alternative-fuel cars, with three electric cars and three plug-in hybrids. "Vehicles that move off dealer lots faster must have the right mix of demand and supply that may be driven by factors like price, unique features, and performance," said Phong Ly, iSeeCars.com CEO. Check out these 5 fastest-selling used cars of 2017! The Tesla (TSLA - Get Report) Model S is still the king of the electric fleet, though the competition is creeping up. The 376-horsepower motor, 5.2-second 0-60 and 155 mph top speed all add up to more performance than any other electric vehicle can manage. Meanwhile, while its 100 miles per gallon equivalent is not as efficient as the BMW i3's 124 mpge, that 270-mile range, supercharger and eight-year, unlimited mile warranty are unmatched. 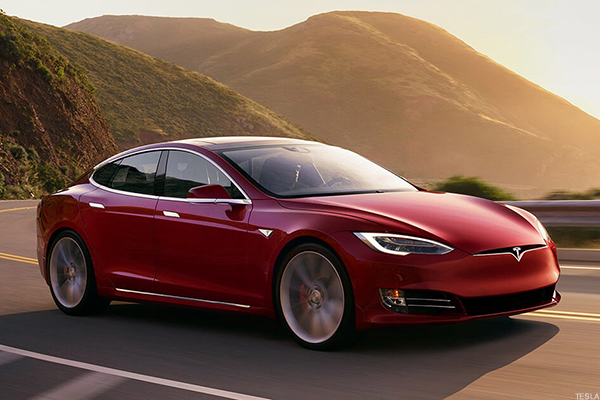 With charger-oriented navigation in place and self-driving "autopilot" making its way online, the Model S still makes a strong case for itself even as the cheaper Model 3 and more spacious Model X sport utility permeate the market. The average price of a three-year-old Tesla Model S actually increased in price by 3.5% over the last year, from $67,992 last year to $70,372. 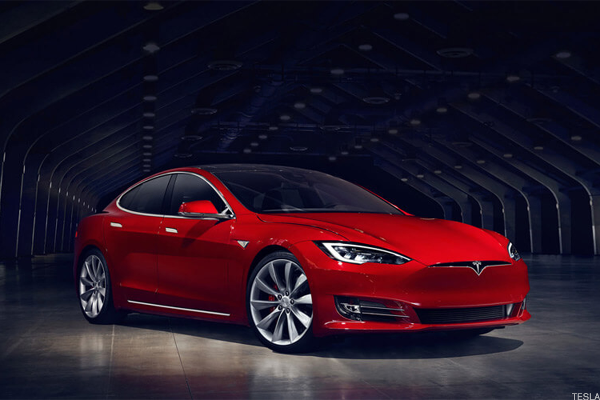 "Tesla's popularity, along with the scarcity of the Model S on the used car market, is probably driving prices up while cars continue to sell quickly," Ly says. Ford's (F - Get Report) C-Max looks like a meaner Prius, which is no coincidence considering that's the car Ford was gunning for when it produced that model. Though the hybrid version lags behind the competing Prius, though this plug-in's electric-only range outstrips that of its competitor. 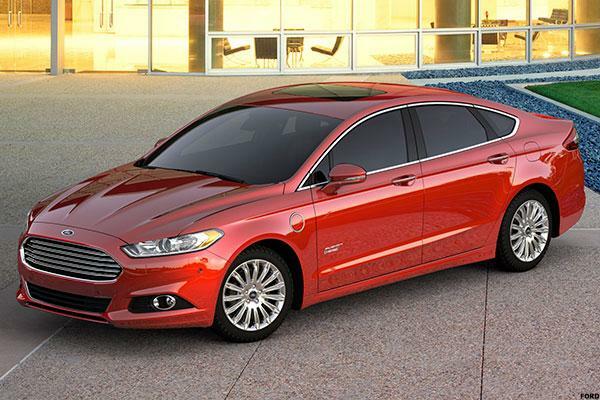 However, if you absolutely hate how the Prius looks and want everyone to know you're driving a Ford, the midsize Fusion plug-in hybrid looks just like its all-gas counterparts. They're both perfectly acceptable midsize options that include the MyFord mobile app and the Microsoft SYNC touchscreen infotainment system, but with similar size, mileage and price, it all comes down to which look suits you best. Best of all, the get 55 miles per gallon equivalent in the city, 46 on the highway and 51 combined. Considering the Fusion Energi's price for a three-year-old model has dropped 12.8% to $18,699 over the last year, it's a fine time to snag one. Mercedes was aiming squarely for the mid-size crossover market and found it with this luxurious answer the average grocery getter. 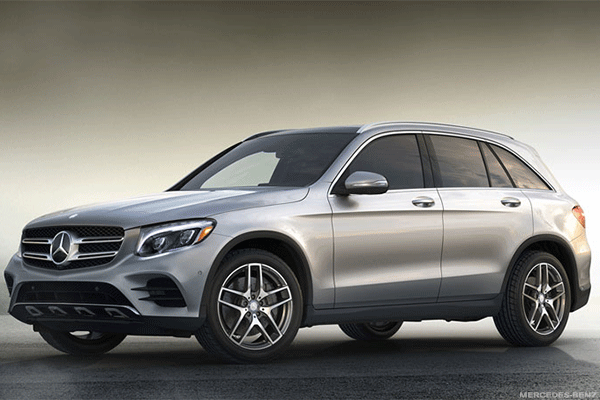 Offering features including leather, heated seats, rear sun shades and console-mounted independent touchscreen, the GLC puts some distance between itself and all the other crossovers in the school parking lot. However, with available all-wheel drive and loads of tech safety features, the GLC clearly took its cues from vehicles a few classes beneath its station. This is the same car as a Subaru BRZ and Toyota 86, but under a now-dead brand. Jointly developed by both Toyota and Subaru and manufactured solely by Subaru, BRZ and and the Toyota 86 have had an interesting year or so. The Toyota 86 was initially sold here as the Scion FR-S, with the Toyota 86 name reserved for the Japanese version of the car. When the Scion brand was discontinued last year, the Toyota 86 name was imported to the U.S. and slapped on this tuner favorite. 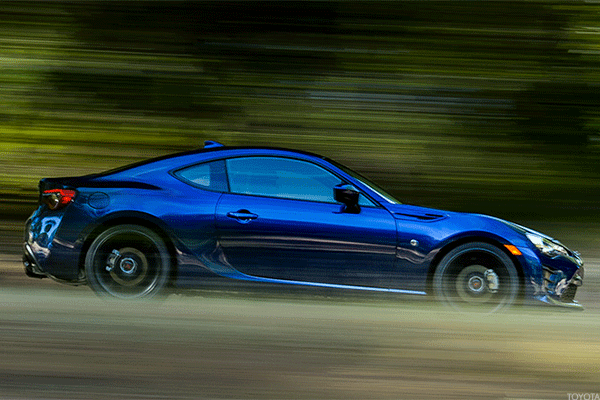 The differences between the BRZ and Toyota 86 come down to paint, body configurations and other trinkets, but that rear-wheel-drive and 2.0-liter 200-horsepower boxer engine are what keep knowledgeable performance car enthusiasts coming back for more. No, its isn't going to blow anyone off the line without some tweaks, but it handles incredibly well in the turns and sounds loud and proud when you're redlining your way through the gearbox. Nissan notes that there are "no reservations necessary," though that's what happens when your vehicle has been around since 2010 with few substantial upgrades. The roughly $6,000 price drop for 2013 doesn't make up for the lack of a supercharger -- which still requires a nearly $4,000 upgrade -- but a starting price that gets a whole lot more affordable once incentives kick in has made this the commuter EV of choice for a long time. Loads of audio, navigation and app support features - including maps of nearby charging station -- are now fairly standard among the competition. However, the LEAF still has a dead-silent interior and is an incredibly affordable option for folks looking for a mid-sized EV at compact prices. Besides, an upgrade to a larger battery increased its range from 84 miles to 107, and that supercharger is available if you want to pay the price. 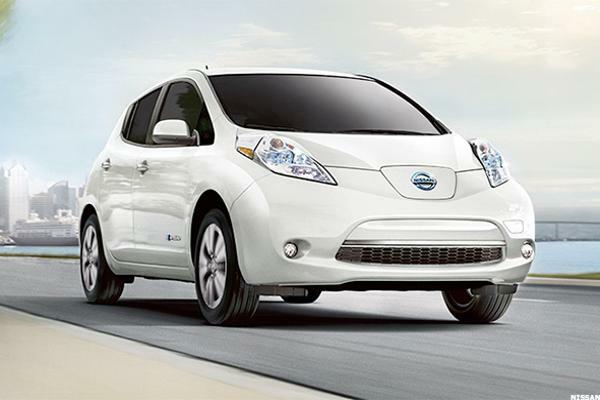 However, considering that a three-year-old LEAF's price has dropped 10.3% to $11,703 during the last year, it may be worth taking what you can get. That 114 miles per gallon equivalent combined still holds up. Aimed toward the same drivers who loved the Mini's deceptive quickness, the Veloster's a light little speedster whose 1.6-liter engine and 132 horsepower are more than adequate for its needs -- but whose $3,600 201-hp turbo upgrade makes it deceptively quick. 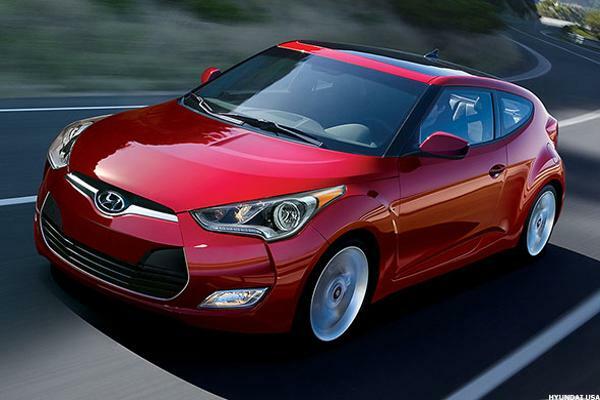 Unlike the Mini, however, the Veloster's sleek styling evokes more of a sports car than a retro subcompact. Given the frugal nature of today's car buyer, the Veloster's popularity is likely based more on its combined 31 miles per gallon and 10-year warranty than its alloy wheels, 7-inch touchscreen entertainment system with game console capability or Blue Link telematics and roadside assistance. Yet the fact that its driver's side has one door and the other has two gives it just enough character to make a case to bold-thinking bargain buyers. A three-hour charge to go a scant 11 miles without using gas isn't great, but this plug-in did a fine job holding space until the 120 mpge Toyota (TM - Get Report) Prius Prime arrived. Consider this plug-in Prius Megatron -- Prime's evil, ugly, hapless counterpart. 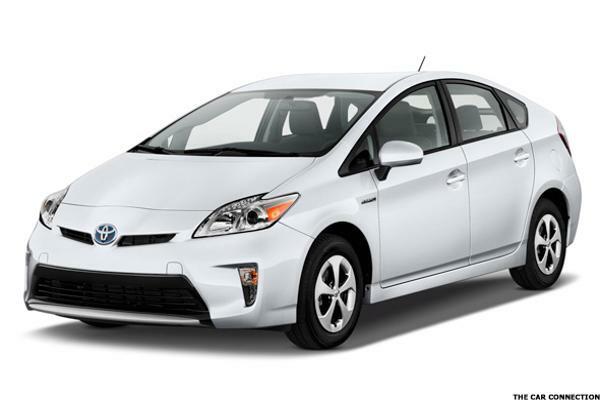 Prius makes up for its lacking electric mileage with 50 mpg hybrid mileage that's still near the top of its class. It also gets owners some sweet state and federal rebates for their trouble, as well as an occasional comfy solo ride in the carpool lane to go along with 21.6 cubic feet of trunk space, remote climate control, headed seats, navigation system and Entune app center. However, knowing it's going to be replaced by a more efficient, redesigned version later in the year, hold out for a deal if you can. "Demand for the Prius Plug-In may have stayed strong due to demand from California—73 percent of these cars were sold in that state. Plug-in Hybrids meet the requirements for California's Green Clean Air Vehicle Decals, which allows drivers to use HOV lanes, and the distribution limit of these stickers was removed last year, possibly increasing the Prius Plug-in Hybrid's popularity in that state," noted Ly. Yes, that's well over the average price of a U.S. vehicle and likely way out of range for the average college graduate, but hear us out. 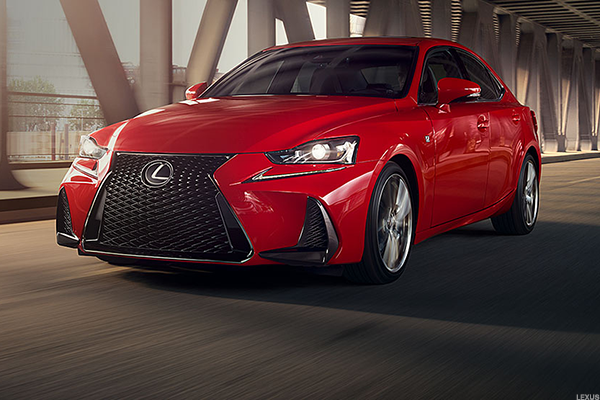 Yes, the paddle-shift transmission, drive modes, 10.3-inch multimedia display, touch-based climate controls and Lexus Enform entertainment system all come at a price, but what if you stripped some of that out? That was the thinking behind the Lexus IS just after the recession. With a relatively small engine and relatively few perks, the IS was a bit overpriced for its time, but sells for Toyota Camry prices now. This tiny Bimmer is efficient even without an available, on-board gas generator that doubles the vehicle's 81-mile range -- which is still well below the Tesla's Model S' gas-free 270 miles. Made with lightweight aluminum and carbon fiber, the i3 far lighter than most other EVs and requires a smaller battery consuming less energy. Thus, its 124 miles per gallon equivalent is actually far more efficient than the Model S's 100 mpge, even if the latter has greater range. The crew at automotive pricing site Edmunds managed to get 96 miles worth of range out of the standard battery and 150 with the extender. The i3 also packs 170 horsepower of performance and tons of interior space in an electric ride rivaled in speed by only the Tesla Model S. There is room for four full-size adults to fit comfortably, while the fold-flat makes the i3 surprisingly practical. 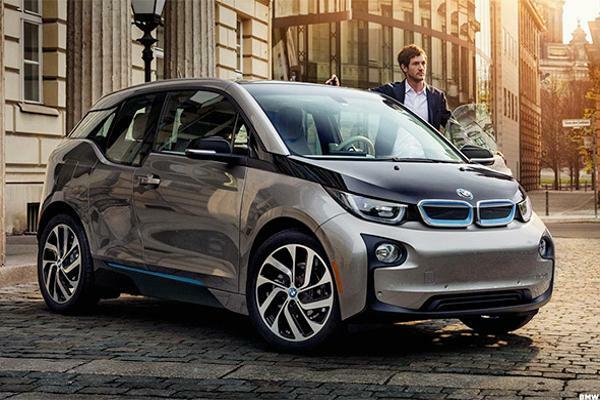 With lots of luxury amenities that BMW customers have come to expect, the i3 beats the Model S in one big area: Price. The futuristic-looking hatchback is the lowest-priced luxury car on the list, with an average price of $23,603 for a three-year-old model -- which is down 38.4% from last year. "The i3 was introduced as a 2014 model, so now that it's three years old many leased cars are returning to market, driving down its price and possibly increasing demand for the car," said Ly. Long derided by Europeans and forgotten by U.S. driver, the Fiat Chrysler (FCAU - Get Report) 500 is a zippy little car for all its 111-horsepower. However, with little space to offer, it leans heavily on its electronic push-button shifter, TomTom navigation with voice-activated commands, a FIAT mobile app with with telematics and assistance, BLUE&ME hands-free communication, seven airbags, rear parking assist, heated seats and mirrors, stability control and Sirius XM satellite radio to win drivers' hearts and minds. Pedestrian alert, hill assist and a four-year warranty on all electric parts are just a bonus wrapped around 112 miles per gallon equivalent of combined mileage and 84 miles of electric charge range. 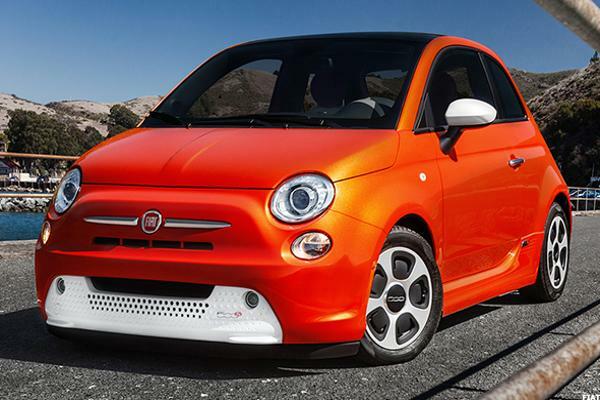 This year one- to three-year old FIAT 500e averages $9,055, a drop of 40.4% from $15,187 last year. Coincidentally, the car is selling faster than last year by almost two weeks on average, down from 35.9 days. "The average cost of one- to three-year-old cars is almost $21,000, so it seems consumers are willing to take a chance on a car at a price point that's less than half the average," says Ly.